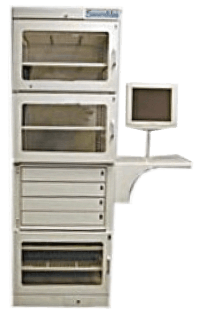 PharMaxT provides perpetual inventory and workflow automation for hospital pharmacies. The design is meant to be clean and intuitive; people shy away from things that look complex. We have targeted our product so that no facility is excluded from realizing the benefits of automation. Even though PharMaxT is comparatively inexpensive, it is a full-featured system that can improve your inventory needs whether you’re a new carousel customer or an existing carousel customer. PharMaxT is a complete inventory management solution specifically designed for the hospital pharmacy setting. 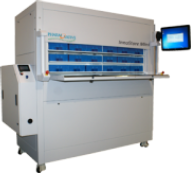 PharMaxT helps you reduce inventory costs, streamline technician workflow, and reduce medication errors. All of this is presented through intuitive, user-friendly software that your staff will learn and use with ease and comfort. PharMaxT keeps a tighter control of your inventory and collects data to accurately analyze drug usage. By taking advantage of this analytics, a typical pharmacy can reduce their inventory by 25%. In addition, PharMaxT interfaces with the wholesaler, helping to ensure items are always purchased at contract prices. This reduces purchasing costs by eliminating unnecessary and expensive substitutions. PharMaxT will help you optimize your payroll costs by improving technician efficiency and dispensing accuracy. Its “pick by location” or “pick by light” system tells the user exactly where to find each drug, reducing the amount of time taken browsing shelves and looking for drug names and strengths. In addition, the task of identifying drugs to reorder is reduced from a two-hour manual task to a fifteen-minute process. And periodic inventory counts? 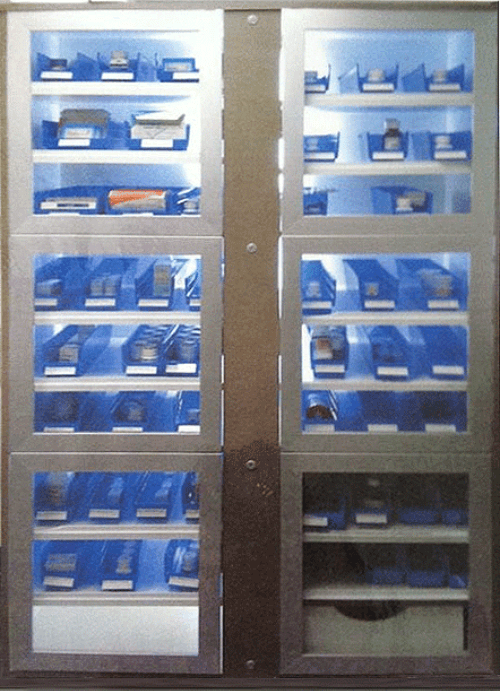 PharMaxT can quickly and accurately generate an instantaneous inventory count. This report includes purchase prices based on a LIFO inventory. 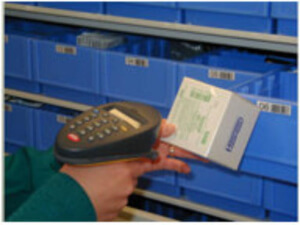 In addition; PharMaxT uses barcode verification throughout all steps of the inventory automation process. No drug leaves the PharMaxT system without computer-accurate barcode verification. No drug enters the system without having barcode data associated with it. Look-alike and sound-alike drugs are as dissimilar within PharMaxT as dextrose and aspirin. Improve efficiency & reduce human error. SecureMax is a thorough, robust narcotic management solution that allows the user to keep an accurate and perpetual inventory of controlled substances stored in a pharmacy. Accurately monitor every step in the distribution process. Meets or exceeds State and Federal storage and record-keeping requirements. Improves internal efficiency, reducing costs. Automatically identifies and tracks discrepancies. Reduces human error and liability with bar-code verification.